Many of the historical sources available to climate historians mention weather in some way, but these references are often buried in a huge volume of information that is difficult, if not impossible, to decipher. Fortunately for scholars of climates past, in recent years well-funded initiatives have transcribed, quantified, and digitalized either: a) historical observations, or b) historical activities that must have been strongly influenced by weather. We have listed some of the most important databases below in no particular order, with descriptions taken largely from the linked websites. If you have any suggestions for links to additional resources, please contact our Director. The freely downloadable Climatological Database for the World's Oceans (CLIWOC) database represents the culmination of a project funded by the European Union and consists of 287,114 logbooks written aboard Dutch, English, French and Spanish sailing ships. The vast majority of ship logs date from between 1750 and 1850. Ship logbooks contain detailed and often reliable weather data, and form a vast and still largely untouched documentary reservoir for historical climatologists. Thanks to mapper and programmer Steven Ottens, this extraordinary database has been reformatted and made accessible on HistoricalClimatology.com. From the GHCN-Daily Website: "GHCN (Global Historical Climatology Network)-Daily is an integrated database of daily climate summaries from land surface stations across the globe. Like its monthly counterpart, GHCN-Daily is comprised of daily climate records from numerous sources that have been integrated and subjected to a common suite of quality assurance reviews.GHCN-Daily now contains records from over 75000 stations in 180 countries and territories." 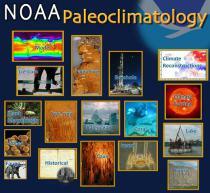 ​KNMI Climate Explorer is a powerful research tool to investigate past, present, and project climate change. The KNMI Climate Explorer website collects a lot of climate data and analysis tools. The KNMI warns that you should verify yourself that the data you use is good enough for your purpose, and report errors back. In publications the original data source should be cited. A link to a web page describing the data is always provided by KNMI Explorer. From the Sound Toll Registers website: "the Sound Toll Registers (STR) are one of the great serial sources of early modern history of western Europe. They are kept by the Danish National Archives (Rigsarkivet) Copenhagen. The STR are the records of the toll the king of Denmark levied on the passage of ships through the Sound, the strait between Denmark and Sweden. They have been preserved for about 300 of the 360 years from 1497 till 1857, when the Sound Toll was abolished, and include a practically uninterrupted series from 1574 to 1857. They contain information on about 1.8 million passages. For each individual passage the employees of the Toldkammer in Helsingor noticed the name of the shipmaster, his town of residence, his port of departure and – from the mid–1660s – his port of destination, the composition of the cargo and the due toll per commodity." The Registers are available online.